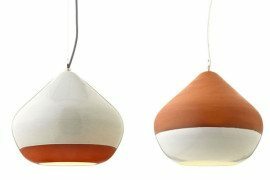 Terracotta can complement many interior design styles, from the modern to the boho. 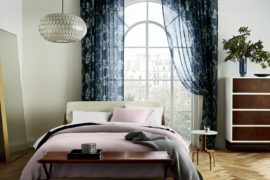 There are so many amazing details in the bedroom below, you can’t take it all in at one glance! 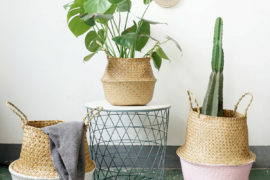 It’s not a cookie-cutter boho space, but there are plenty of features that channel a boho feel, from the pom poms and tassels to the potted plants. Can you spot all of the different terracotta tones? 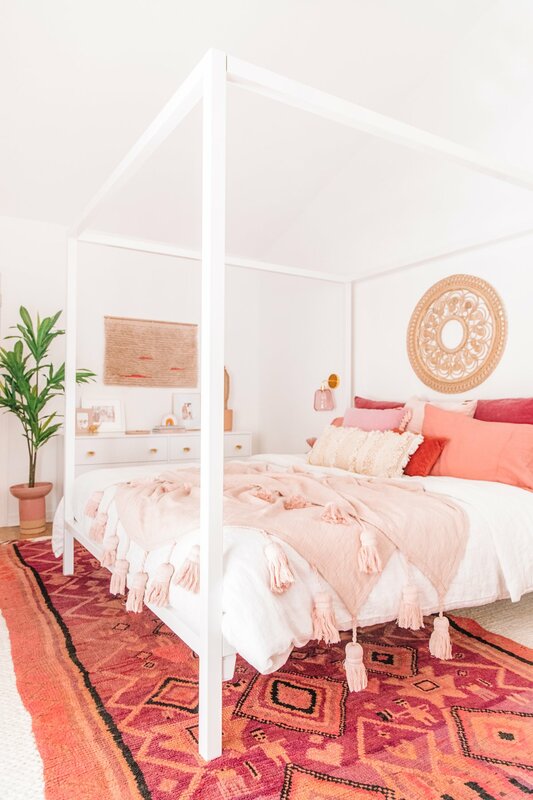 From the rug to the bedding, the warm hues are welcoming and stunning. 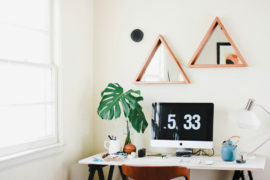 This is the master bedroom of Studio DIY founders Kelly and Jeff Mindell. 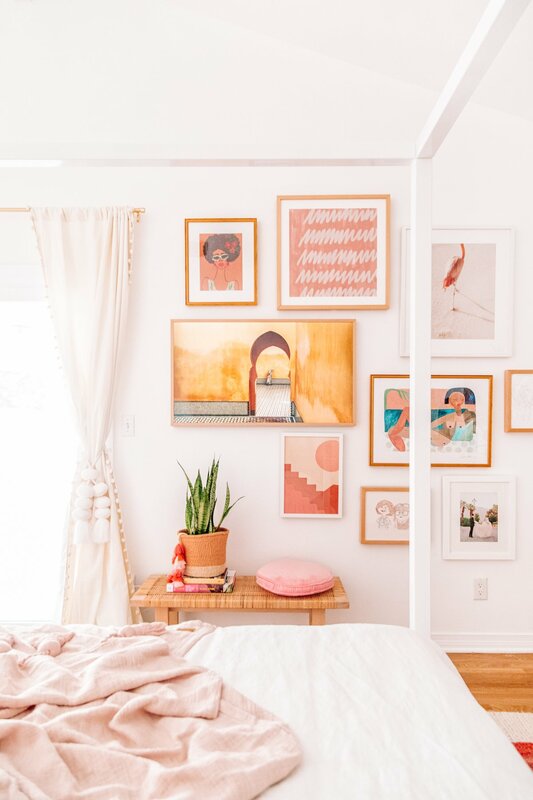 Even the wall art (shown below) is impeccably curated and filled with peachy-pink accents. 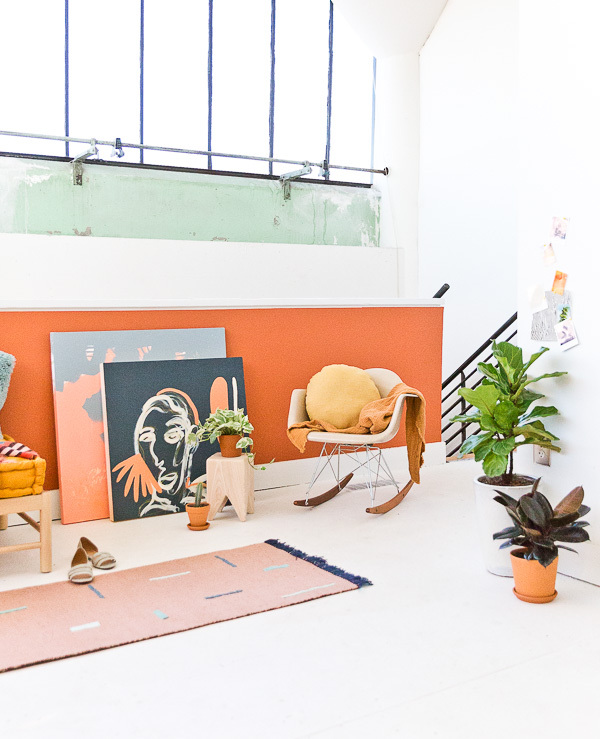 See the entire bedroom reveal here. 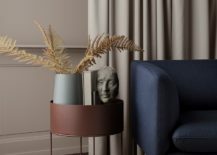 Speaking of pink tones, terracotta blends beautifully with any shade of blush, and some terracotta shades even border on rose. 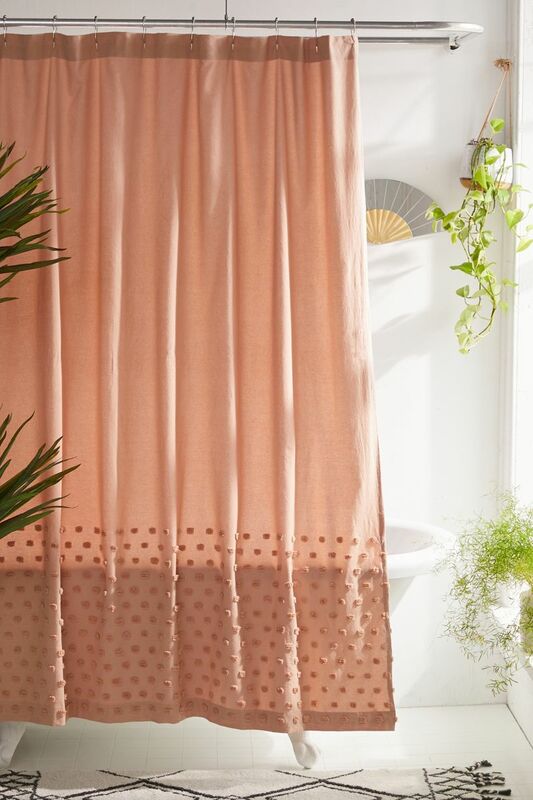 This Tufted Dot Shower Curtain from Urban Outfitters adds the perfect dose of warmth to any powder room. 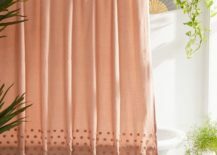 The textured border at the bottom gives the curtain a boho feel. 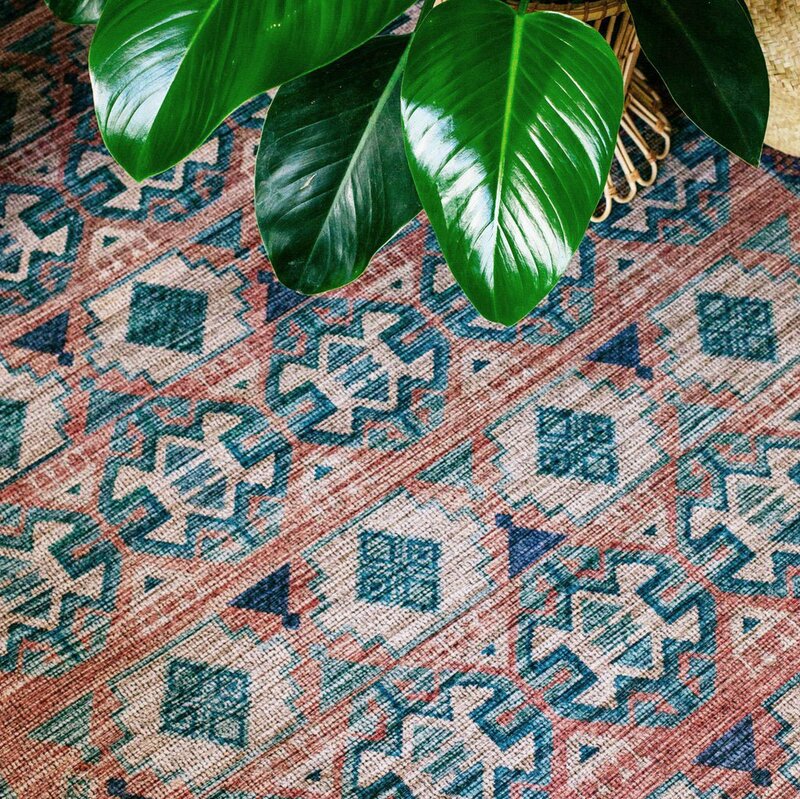 If you love a boho look, be sure to check out Justina Blakeney’s Jungalow blog. 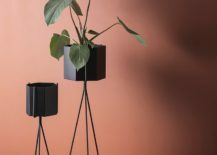 Blakeney is also a product designer who has created countless stellar pieces, from wall art and tabletop decor to pillows and rugs. 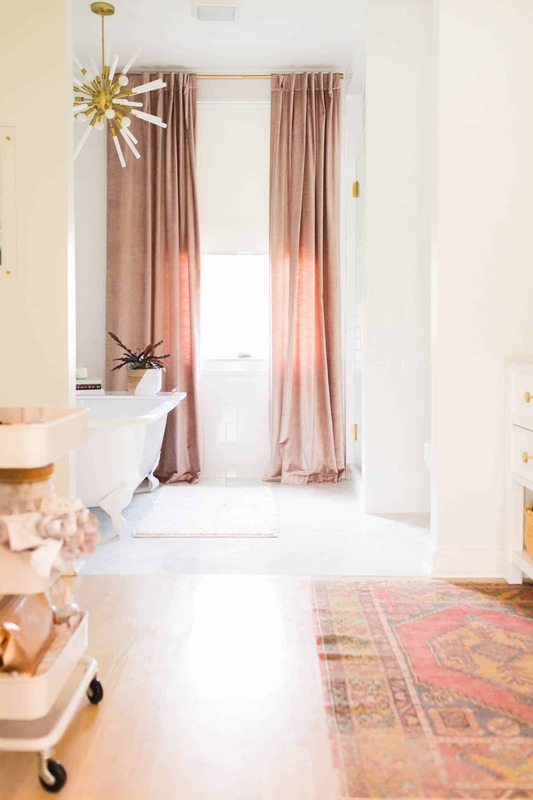 How gorgeous is her Cielo Terracotta Rug?! 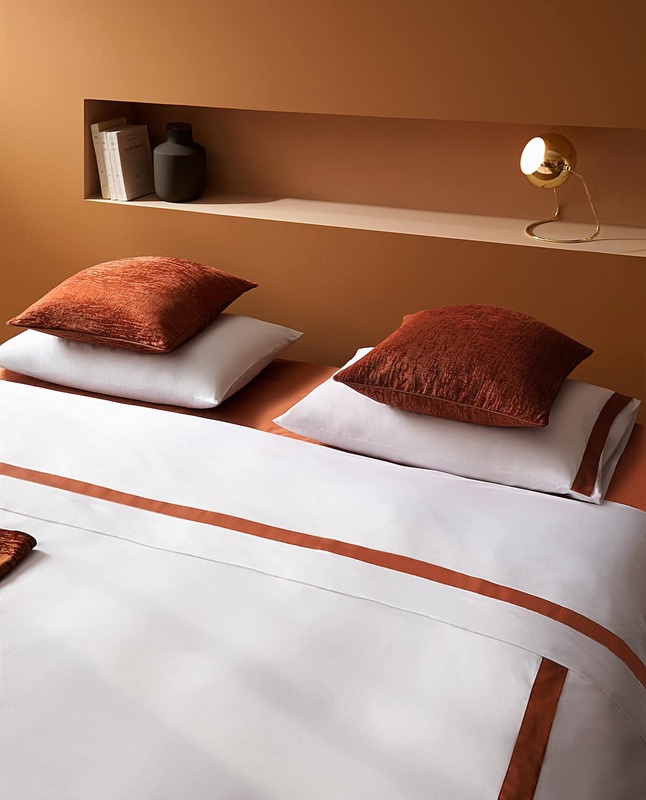 Zara Home is currently featuring a line of terracotta bedding, and the product photography plays up the orange. 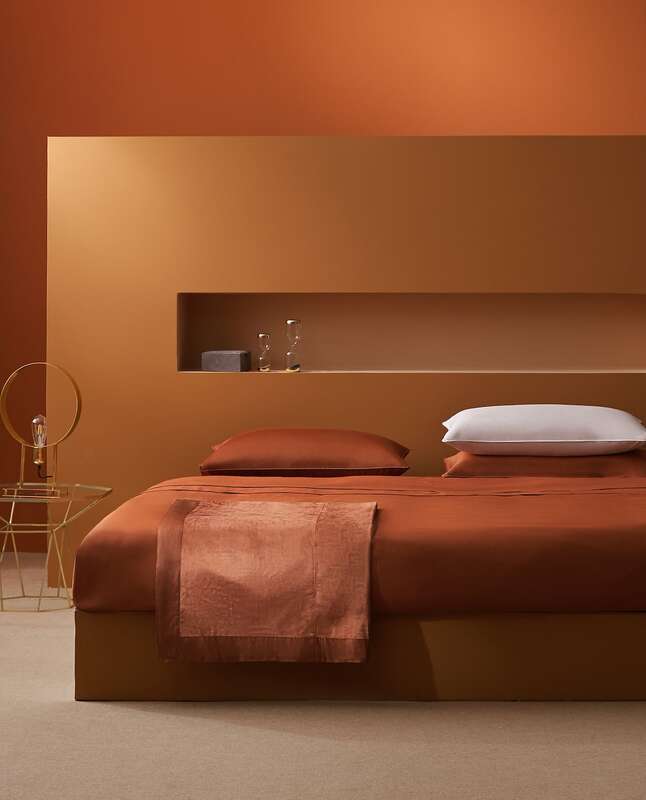 Below we see the Terracotta Sateen Duvet Cover with Piping, showcased in a modern bedroom space that proves less is more when it comes to decor (but “more is more” when it comes to color)! 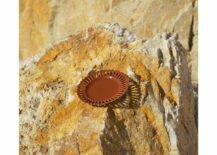 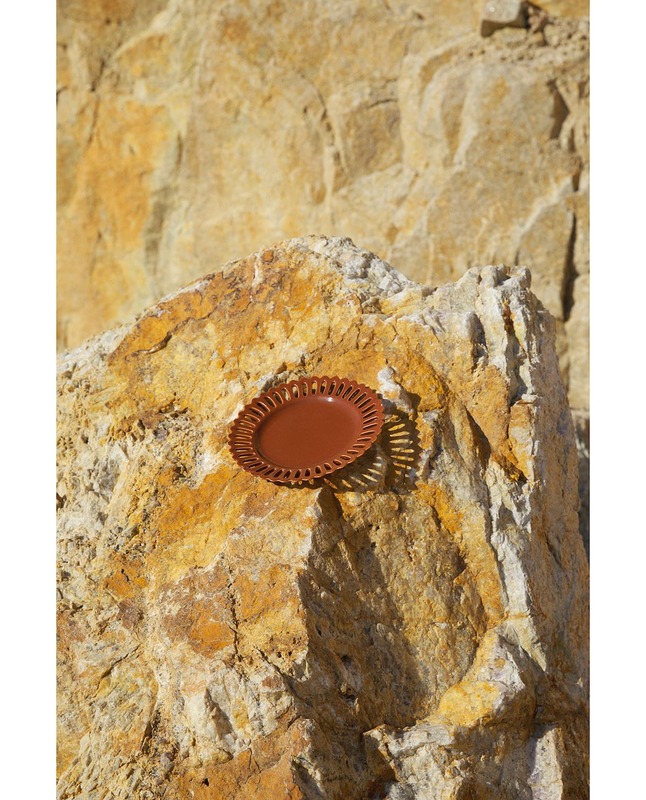 Heading back into orangey-rust territory, this Dessert Plate with Perforated Rim from Zara Home will bring a touch of terracotta to your kitchen or dining room. 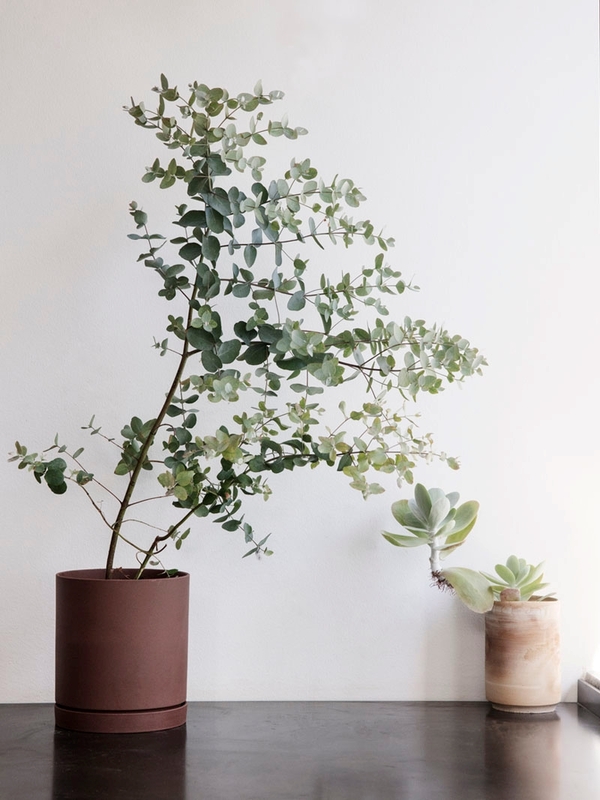 It’s feminine yet earthy: the perfect mix for eclectic spaces! 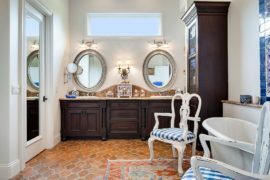 No terracotta accent is too small when it comes to dabbling in this latest design trend. 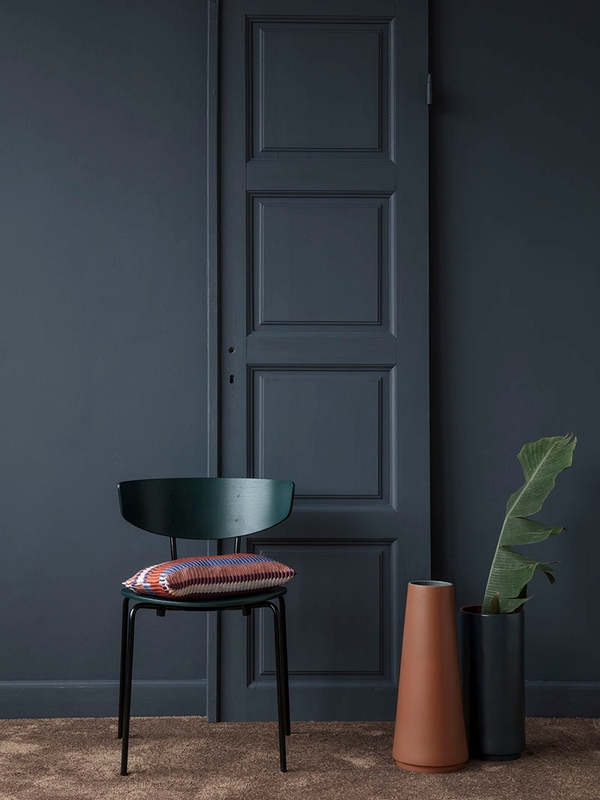 Accent walls aren’t the only way to bring terracotta into your Scandinavian palette. 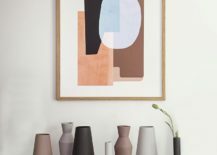 Don’t forget the power of intriguing wall art! 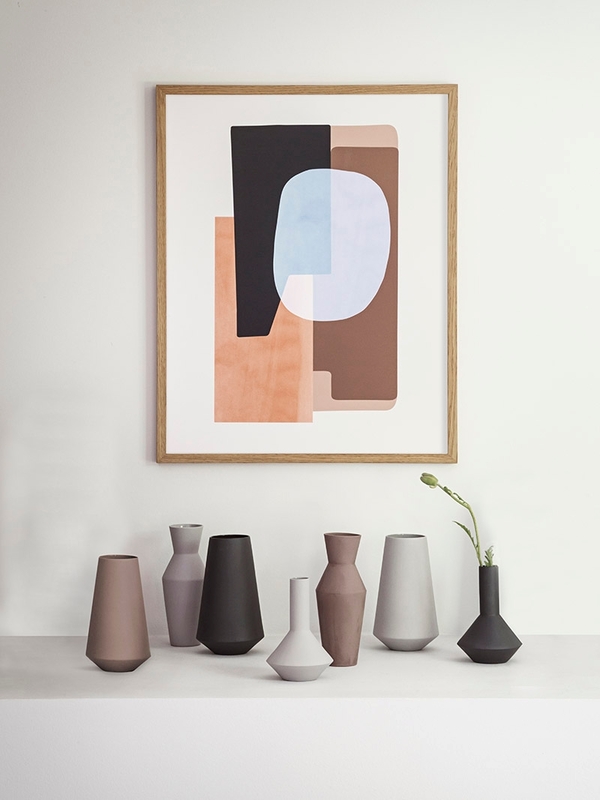 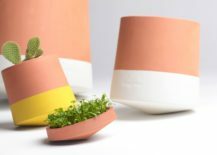 Abstract art featuring terracotta tones complements an assortment of modern vases below, also from ferm LIVING. 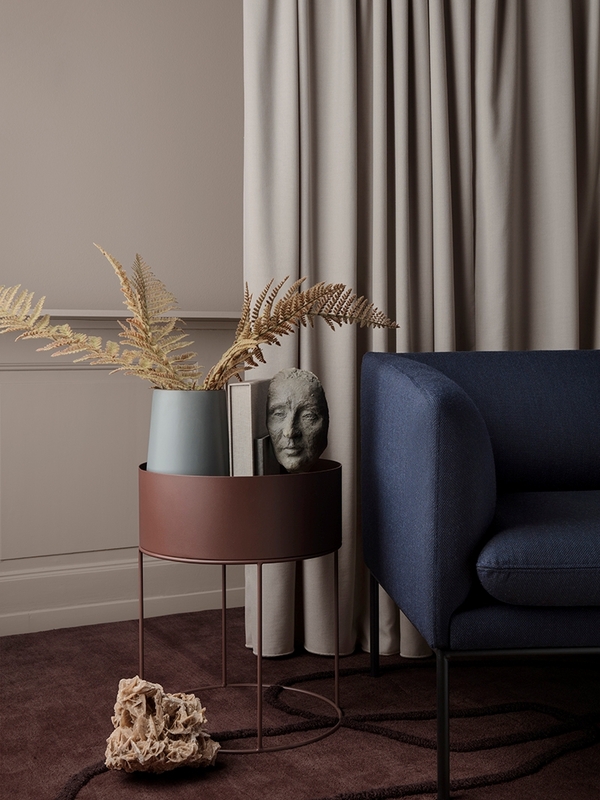 Don’t hesitate to layer and combine terracotta hues in your living spaces. 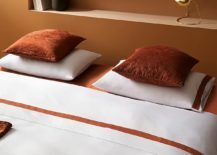 Deep red/rust provides a rich complement to terracotta tones of the orange and blush varieties. 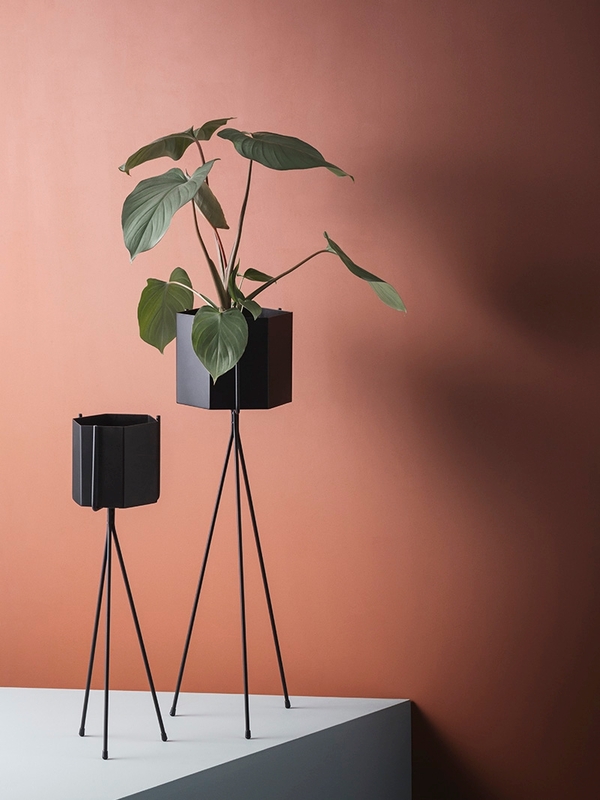 At the bottom left we see one final ferm LIVING find: the Sekki Pot in Rust. 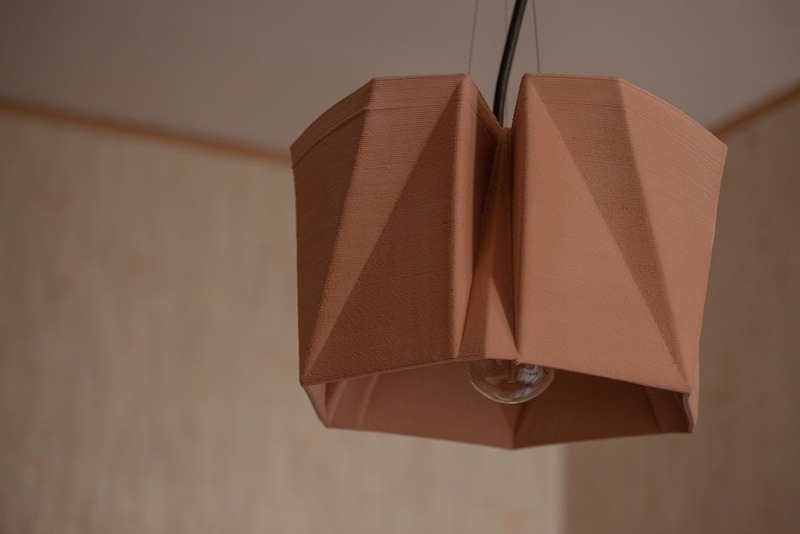 When it comes to the terracotta trend, which shade of this “it” color do you prefer? 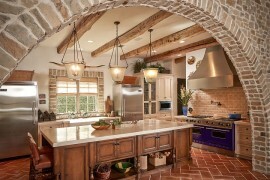 How does it fit into your design style of choice? 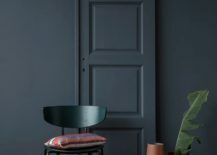 Happy decorating, and thanks for reading!